Quit talkin' and start chalkin'! 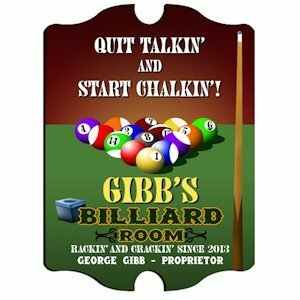 Pool sharks will love displaying this sign next to the billiard table in their home. Full-color design features a set of pool balls on the green, a chalk cube and a cuestick. 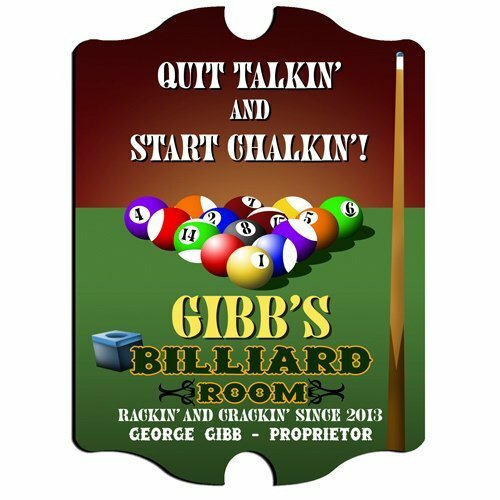 Sign may be personalized with the first and last name of the owner and year the billiard room was established. It measures 10-3/4" x 15-1/2" x 1/4". What a great gift for any pool player!